In the Soldiers Memorial Gardens. 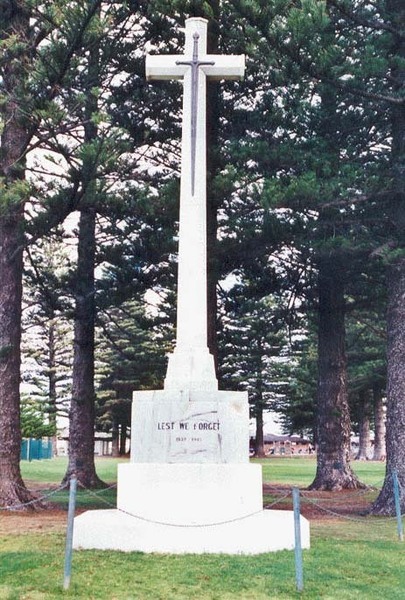 A white Cross of Sacrifice surmounted on an octagonal three-tier base and concrete slab. A bronze Crusader's sword is affixed at the cross arms. 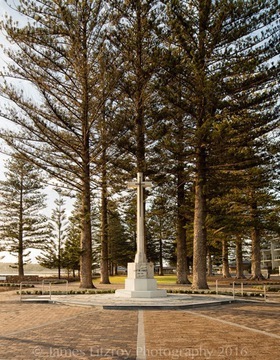 DESCRIPTION: A white Cross of Sacrifice surmounted on an octagonal three-tier base and concrete slab. A bronze Crusader's sword is affixed at the cross arms.